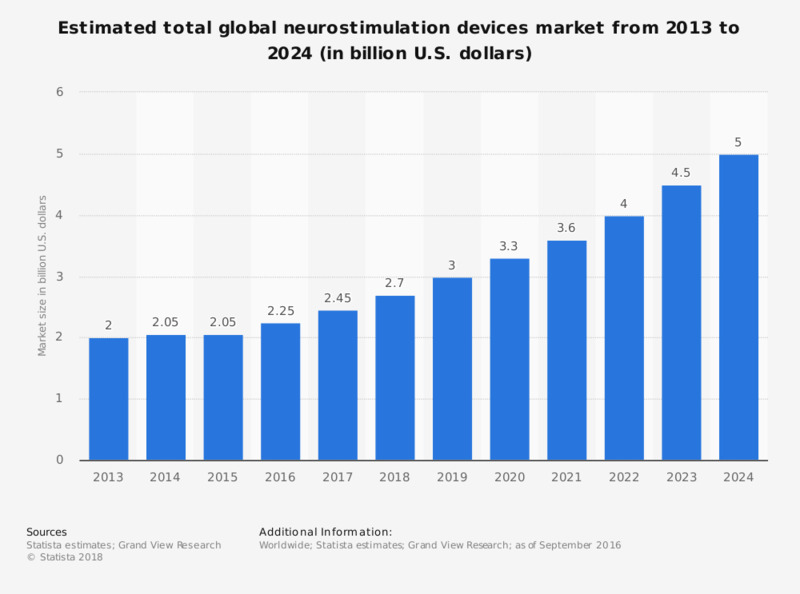 This statistic shows the estimated total global neurostimulation devices market from 2013 to 2024. For 2021, the total global market size for neurostimulation devices is estimated to be about 3.6 billion U.S. dollars. All values have been rounded. All values are estimates/forecasts.